This was from a parade at night in Metairie, Louisiana. 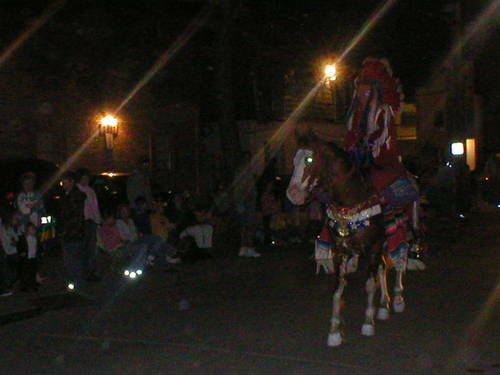 There was a group of Indians at the parade. I thought this one was mysterious and brought out the past.